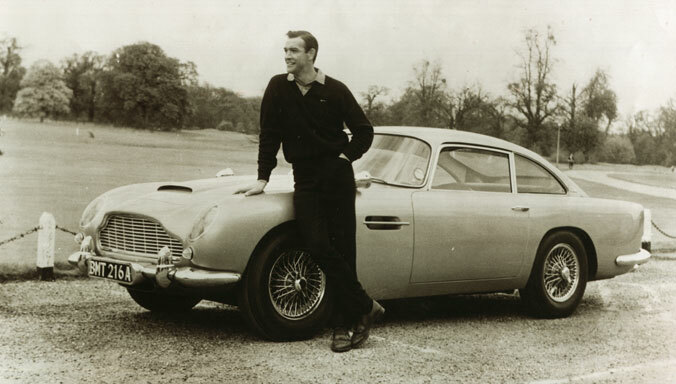 Aston Martin is revealing full details of the timeless new DB9 – the British brand’s iconic sports GT car. The arrival of this most potent DB9 to date sees the British luxury sports car maker significantly enrich the appeal of its mainstay in the GT sector. With around 60% of the body panels new to DB9, plus key changes under the car’s classically beautiful ‘skin’, today’s sports GT retains its status as the fulcrum of the Aston Martin model line-up. There are important new technology and engineering debuts in today’s DB9, too. The arrival of the new generation AM11 V12 engine delivers meaningful performance and CO2 benefits when compared to the outgoing engine. The state-of-the-art all-alloy, quad overhead cam, 48-valve, 6.0-litre V12 takes ‘Gen4’ VH architecture hardware technology developed for the new Vanquish and delivers more power for even more spirited performance. Tuned to suit the effortlessly luxurious character of DB9, the result is an engine with more torque than ever before at 620 Nm – up from 600 Nm previously. Peak power is increased, too, and now stands at 517 PS – an impressive eight per cent increase on the previous DB9’s 476 PS. The significant increases in both power and torque have been matched by an improvement in CO2 emissions. The new DB9 has an EU combined emissions level of 333 g/km, down from the 345 g/km of the outgoing car. Finally, the new car’s 0-62 mph sprint time has benefitted from the power and torque hikes and now stands at just 4.6 seconds, an improvement of 0.2 seconds versus the previous car. 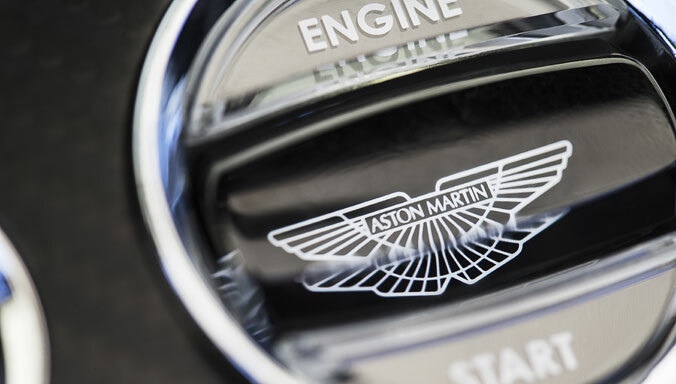 Today’s DB9 boasts a number of important engineering enhancements over the outgoing car’s already impressive inventory. The chassis is stiffer than ever before as Aston Martin’s engineers have taken what was already cutting edge technology – the world-renowned VH architecture – and made it even better. A rigid and strong structure not only protects driver and passengers but also allows for precise control behind the wheel. The new DB9 structure is a state-of-the-art, bonded aluminium-intensive design; its extrusions, stampings, and castings are expertly joined for rigidity and strength. New engine bay struts and new under-body sheer panels all contribute greatly to the 20% increase in stiffness relative to the previous DB9 Coupe and 30% increase in stiffness relative to the previous DB9 Volante. The use of significant new components also underscores the leap forward being taken by new DB9. The braking system, for instance, now uses as standard Carbon Ceramic Matrix (CCM) discs and calipers supplied by acknowledged global brake experts Brembo. While this DB9 offers a refined, comfortable sports GT drive experience, the new carbon brakes provide the confidence and reassurance of reduced brake fade when exercising the car’s sporting capabilities. The discs are cross-drilled to help keep the brake pads clean while also helping to ensure that gases emitted by the pads during braking do not build up between the pad and disc surface. The holes also help to cool the surface of the pads and the discs themselves. Air intakes mounted behind the lower front grille also force feed air past the brake discs to aid cooling. Saving around 12.5kg versus a conventional cast iron system, the DB9’s CCM brakes not only reduce overall vehicle weight but also mean that a better balance between ride comfort and handling can be struck. The lower rotational mass also gives improved acceleration, braking and steering feel. 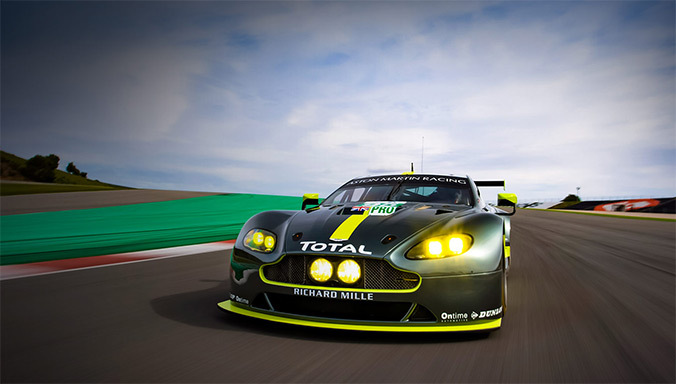 The luxury sports car also boasts Aston Martin’s latest ‘Gen4’ VH architecture Adaptive Damping System (ADS). This next generation ADS has been re-engineered to now include three distinct modes: Normal, Sport and Track. This DB9 sees the introduction of the new generation AM11 V12 engine delivering important performance and CO2 benefits when compared to the outgoing engine. The result is an engine with effortless torque of up to 620 Nm and peak power of 517 PS. Meanwhile, new DB9 achieves compliance with the latest European pedestrian protection regulations doing so in a new way that is without any compromise to the exterior design of the car and does without the need for otherwise surplus deployable systems. 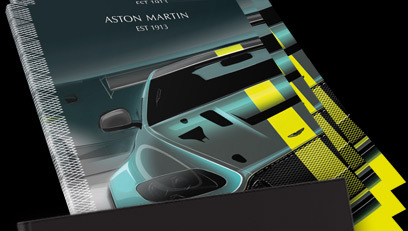 To achieve this, Aston Martin’s designers and engineers have worked together to make significant changes to the underbody structure of the car including a lowered engine, new bonnet, front bumper construction and grille surround moulding. 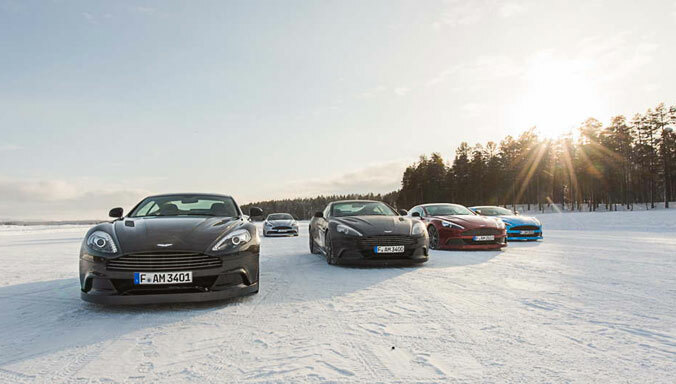 The solution means Aston Martin is able to avoid certain conventional solutions such as the use of plastic grilles and straightforward nose cone bumpers that stretch up in front of the bonnet. Instead, it has created a new and bespoke solution that preserves the unmistakable visual appeal of the VH architecture leading edge bonnet and its extruded aluminium grille. 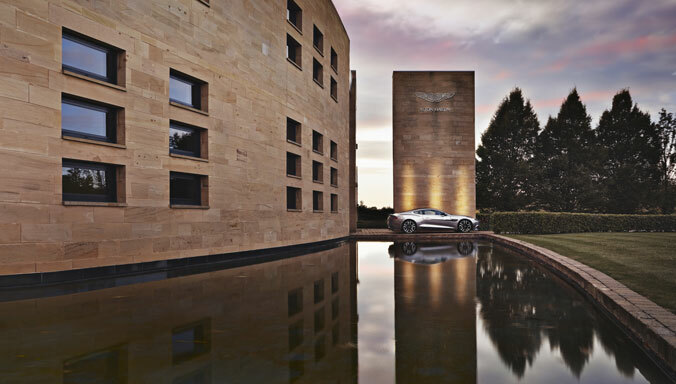 New styling sees DB9 adopt an even more lithe, fluid and pure form. Taking a classic Aston Martin GT silhouette as its base, the new DB9 adds a more pronounced rear boot ‘flip’ to further enhance the aerodynamic performance of the car. The exterior design of the car communicates a powerfully assertive yet elegant character. The surfaces display taught lines and subtle muscular forms that point to the underlying power of this renowned sports GT. DB9 sits low and wide, visually ‘planting’ the car on the road, communicating a clearly athletic stance. The car’s inherent width is accentuated by the ‘light catcher’ feature which runs from the lower front bumper and continues along the sill of the car creating a chiselled, determined look. Available from launch in either Coupe or Volante body styles, DB9 clearly has a strong breadth of appeal. New DB9 also features Aston Martin’s integrated side strake and LED side-repeaters. The long strake accentuates the lean, long lines of the DB9’s nose. Once again, Aston Martin’s craftsmanship is clearly demonstrated in the use of metal grilles and clean lines of the polished metal castings. Inside, as out, the new DB9 becomes yet more elegant and more luxurious. Unmistakably Aston Martin, the Sports GT’s opulently-appointed interior boasts authentic materials and the highest levels of attention to detail. For instance, DB9 now comes with a stunning new leather welt feature. 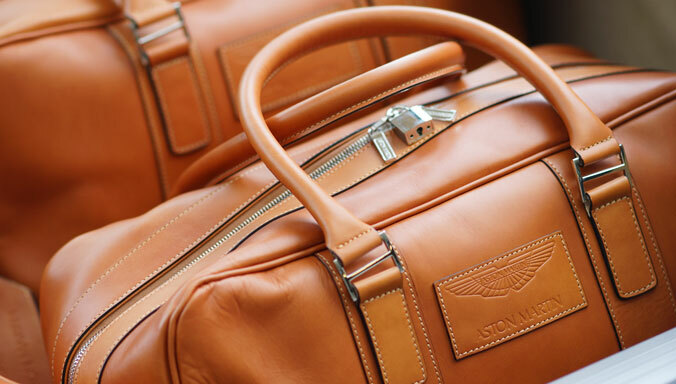 Inspired by luxury leather goods, the welts have been designed and developed by Aston Martin’s master craftsmen. Requiring meticulous levels of control to hand stitch, and requiring specially-developed manufacturing facilities, the welts are created by sandwiching a narrow strip of leather between two opposing leather seat panels, and fixed using precise stitching. A further demonstration of Aston Martin’s renowned attention to detail and craftsmanship can be seen in the jewel-like glass switchgear used throughout the interior of the sports GT. 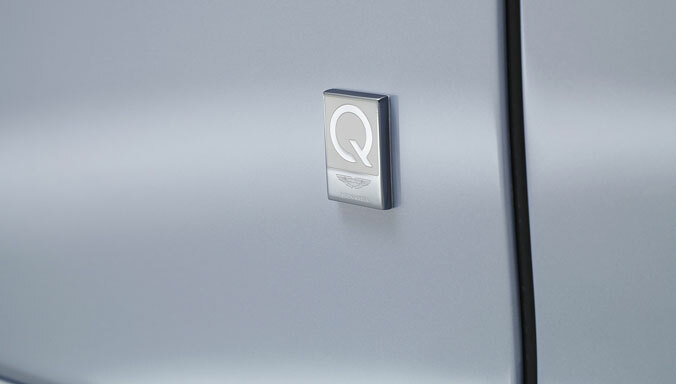 Details such as these glass switches clearly demonstrate the luxury sports car maker’s commitment to the use of authentic, high value materials. Those DB9 buyers seeking an even more sporting ambience inside might be tempted by an additional interior option on DB9 – Aston Martin’s lightweight seats. These are available when the 2+0 seating option is selected and use a state-of-the-art carbon fibre and Kevlar® composite structure. Dr Bez said: “I am very excited to be unveiling the new DB9 now. My team has been working hard for many months to improve and update key aspects of this superb sports GT – the mainstay of our sports car range – and I believe the new car provides an exceptional result. As befits a luxury GT in this class new DB9 of course features convenience items such as automatic headlights, now operated by a new master switch unit control panel located on the lower instrument panel beneath the drivers’ side air-vent. Automatic windscreen wipers are also a standard-fit feature, with their operation triggered by a rain sensor built into the header pod tucked behind the rear-view mirror. Impressive 20-inch alloys wheels in a variety of designs, full-grain leather interior, leather sports steering wheel, electrically adjustable Sports seats with side airbags, memory seats and exterior mirrors, satellite navigation, automatic temperature control, trip computer and Organic Electroluminescent (OEL) displays – the DB9 13MY’s list of standard equipment is suitably generous while buyers keen to further enhance the luxury look and feel of their Aston Martin sports car can select from an extensive range of optional equipment features. DB9 features the optional reversing camera currently available on the Rapide four-door sports car and new Vanquish super GT. The camera – standard in the US market – is integrated into the rear boot lid above the number plate, with the image visible on the LCD screen folding out of the centre stack. The reversing camera is activated when reverse gear is selected and is deactivated once the car is driving forwards at more than 5 mph. Meanwhile there are two Carbon Packs introduced on DB9 – one exterior and one interior – to offer further personalisation possibilities. All of the carbon fibre has a 2 x 2 twill design that is finished with a clear lacquer. The exterior pack comprises carbon fibre front splitter and rear diffuser, carbon fibre mirror arms and caps and dark tailpipes with a graphitic finish. The interior pack offers a carbon fibre upper facia, carbon fibre gear selector paddles and carbon fibre door pulls. 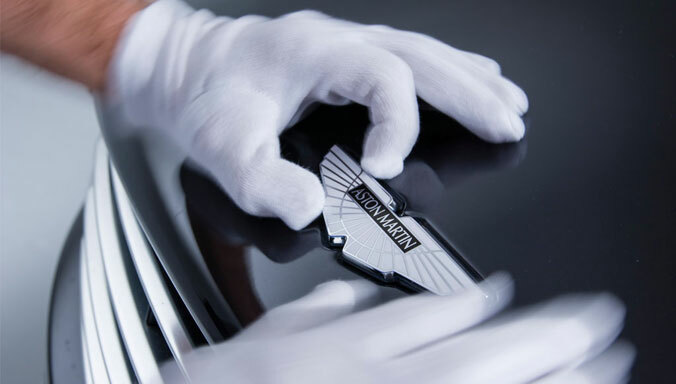 Buyers may also opt for either Aston Martin wings or DB9 headrest embroidery. The DB9 embroidery design has been refreshed and also has a new stitch pattern. A leather headlining is now available as an option on DB9. The large central panel of the headlining can be finished in leather, while the cant rail trim and header trim remain Alcantara coloured. Summarising the significantly enhanced appeal of the new DB9, Product Manager Andy Haslam said: “The introduction of this significantly improved new car – unquestionably the best, most potent and most luxurious DB9 we have ever made – means Aston Martin buyers have a very clear and compelling model line-up from which to choose. 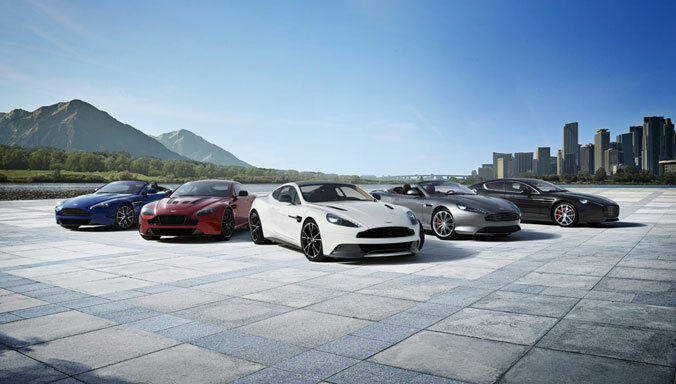 “Taking the best elements of Virage, adding important new upgrades and combining these with the iconic DB9 nomenclature we have created a compelling new sports GT that sits proudly at the very heart of the Aston Martin sports car range. DB9 is available to order now through Aston Martin dealers worldwide, with the first cars making their market debuts in UK and Western Europe in October. Coupe prices are confirmed as £131,995 (UK RRP), €174,994 (German RRP) $185,000 (USA MSRP) and 21,995,000 JPY (Japan RRP).